Limiting carbohydrate intake for weight loss has a long history, dating back almost 200 years. More recently, plans like Atkins and South Beach have popularized the low-carb diet, in which you restrict your consumption of carbohydrates and then gradually add them back in. When you first embark on a low-carb plan, you’re likely to see weight-loss results within a couple of weeks. Further along, however, you may hit a plateau, and adherence may prove difficult for some people over the long term. Talk to your doctor about whether a low-carb diet is right for you. On a low-carb diet, you count carbs instead of calories. In the initial phases of the plans, you eat only 20 to 50 grams of carbs a day, as opposed to the 130 grams recommended by the Institute of Medicine for all adults. For example, in the induction phase of the classic Atkins diet – the best-known low-carb plan – you consume only 20 grams of daily “net” carbs, the total grams of carbs in a food minus the grams of fiber. The diet also restricts the type of carbs you can eat, allowing mostly non-starchy green vegetables. Fruits, beans and nuts are off-limits until Phase Two, and then only in small amounts. You won’t see any starchy vegetables or grains until Phase Three, which doesn’t occur until you’ve reached and maintained your target weight for a month. The South Beach diet, also a popular low-carb plan, is less restrictive than Atkins during Phase 1, allowing you some legumes, beans and nuts, but no fruits, starches or sugary foods of any kind are allowed until Phase 2. Restricted intake of carbs cuts your circulating glucose – your body’s preferred energy source. When glucose is low, your body turns to its stored fat for fuel. In this way, eliminating starchy vegetables like potatoes and refined carbs such as baked goods, pasta, bread and soda results in weight loss for most people within two weeks – especially if carbs previously were your go-to foods. And, because you’ve replaced most of the carbs in your diet with filling protein and fats, you shed pounds without feeling hungry. Achieving results so quickly may inspire you to keep going with your low-carb plan. Don't check the scale too often, though. 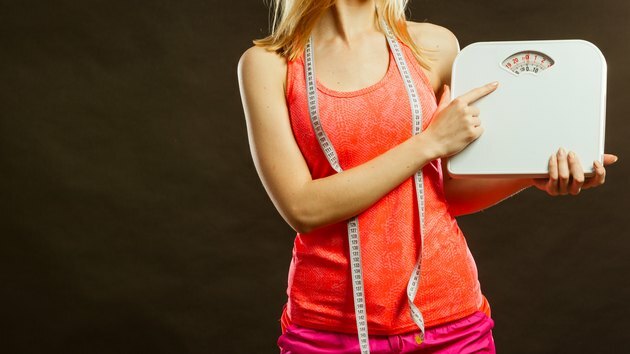 When you strength-train during your low-carb diet, you'll lose fat and gain muscle, so it may look as if you're not getting results when you step on the scale. Using a tape measure or getting a body fat percentage assessment once a month may yield a truer picture of how your efforts are panning out. Most of the initial weight you lose on a low-carb diet is water weight, and weight loss usually slows after the first couple of weeks. Low-carb dieters often complain about hitting a plateau in which they experience no weight loss at all or disappointing results. In one study, published in the New England Journal of Medicine in 2003, subjects on a low-carb diet had better weight-loss results than conventional dieters at both the three- and six-month marks, but at 12 months, the difference in weight loss was insignificant. You may need to re-assess the foods you’ve added back into your regimen if your results stall. Kellyann Petrucci, a naturopathic doctor, suggests you might be eating too many fruits or nuts, or indulging in processed treats like muffins and cookies that are marketed as “low-carb.” Also, you might be getting too little fat or not paying attention to serving sizes. Lifestyle factors like not enough sleep, too much stress and too little exercise can also affect your results. And, if you are taking in more calories than you’re burning, you may end up gaining weight – even if your calories are all technically low-carb. If you cut out alcohol when you first started your low-carb diet, adding it back in might stymie your weight-loss efforts. That’s because your body burns alcohol instead of fat, postponing weight loss. Alcohol may also make you crave sugary foods or lead to impaired reason and poor food choices. Even if you initially see weight-loss results on a low-carb diet, you may have trouble following the regimen over the long haul, according to research published in the Journal of the American College of Nutrition in 2009. After six months on a low-carb diet, more study subjects lapsed from the plan than did those on low-fat and Mediterranean-style diets. Cheating spiked at holidays, with restricted cookies and fruit “irresistible” to many participants. Women seemed to have a more difficult time staying on the diet than men. If you do stick with a low-carb diet, you may see more results than just weight loss. Low-carb diets may improve your serum triglycerides and also boost your high-density lipoproteins – the so-called “good” cholesterol; both of these results can be beneficial to heart health. Eating more plant-based protein than animal protein on a low-carb diet may lower your blood pressure, another risk factor for heart disease. In one study, published in the Archives of Internal Medicine in 2009, improvement in both serum cholesterol and blood pressure occurred within four weeks. What to Do When Weight Loss Stalls on Atkins? Which Is the Best Low-Carb Diet: High-Fat or High-Protein? Can You Lose Weight Just Eating Hamburgers and Not the Bun?